3 Bedroom Detached House For Sale in Crowborough for Offers in the region of £375,000. Guide price 375,000 - 400,000. 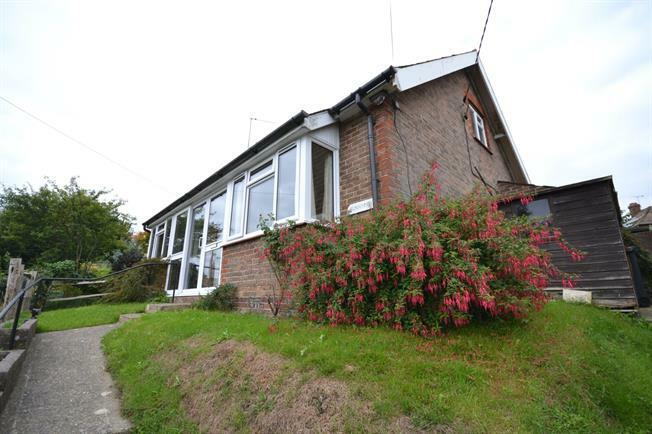 Freeman Forman are delighted to present this chain free detached three bedroom chalet bungalow, offering views of surrounding countryside, situated in the popular village of Rotherfield. The property offers enormous potential to be extended and improved subject to any necessary planning consents. The property holds a pleasant elevated position and the current accommodation includes a front porch, sitting room, dining room, kitchen. Utility room, modern shower room, separate WC and a ground floor double bedroom. Stairs rise from the entrance hall to the first floor landing where there is access to eaves storage. There are two double bedrooms located on the first floor, both of which have access to eaves storage. Outside the property enjoys a generous rear garden which is laid mainly to lawn and benefits from a timber garden shed. The property is a short walk away from the village High Street, and there is a bus stop located within a moments walk from the property. An internal viewing comes highly recommended.